Travis Sanders was out with his family at a lava lake at the Hawaii Volcanoes National Park last week when he was tasered to the ground for trying to take some snaps of the lava with a small toy drone. Sanders was minding his own business and flying his drone over the lava lake when he was apprehended by a park ranger who told him to land it at once. It is illegal to fly drones in any US National Park, which Sanders said he had been unaware of. What exactly happened next is the subject of some confusion. The ranger says that Sanders tried to run away and so he shot him with the taser because he was behaving unpredictably. “Apparently the suspect was very unpredictable and very unruly and the national park service ranger was really unclear what his next actions would be and needed to stop this individual,” Jessica Ferracane, from the Hawaii Volcanoes National Park, told Hawaii News Now. However, Sanders said that he told the ranger he didn’t have any ID and simply left. “He [the ranger] sounded very angry, very confrontational, like he wanted to fight and I didn’t really want to stick around for it. I just told him I don’t have ID,” he told Hawaii News Now. But Randy Horne, a witness to the incident, gave a slightly different account of events. “We heard somebody yelling stop! stop! And we saw this guy running right past us, within two feet of us and the rangers were right in hot pursuit and the guy didn’t stop,” he told Hawaii News Now. Randy added that when Sanders hit the ground after being tasered, what looked like blue sparks appeared to fly off his body. He said he thought the situation was “overkill” on behalf of the park ranger. This is not the first time someone flying a drone has broken the law. 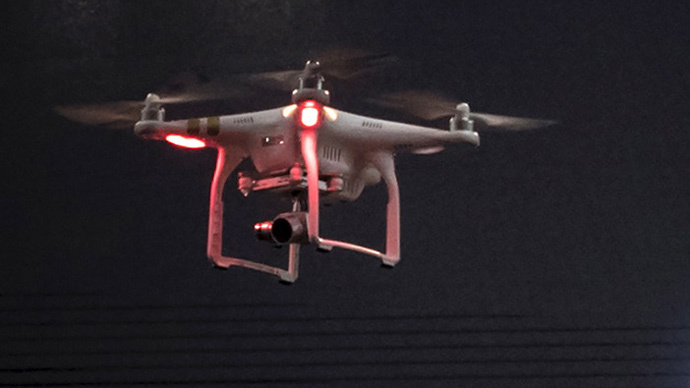 Last year a man who crashed a drone in New York City was arrested and charged after nearly hitting a pedestrian, while another two men were arrested for flying their drones near a New York City police helicopter. The Federal Aviation Administration (FAA) proposed a series of guidelines in February to limit people flying private drones to an altitude of 500 feet and a speed of less than 100 miles an hour. Many drone manufactures also now include inbuilt software that stops the aircraft from flying in certain locations, such as near the White House.